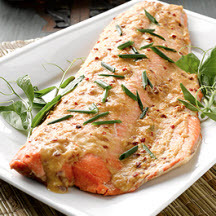 CooksRecipes has a large collection of quality, kitchen-tested recipes for salmon dishes that you can count on for successful deliciousness. 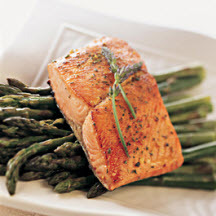 For a complete meal, serve salmon on a bed of baby spinach, drizzled with a lemony vinaigrette, roasted asparagus spears and baby potatoes. 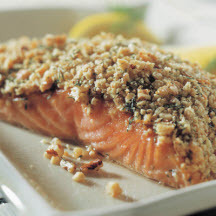 Recipe courtesy of Alaska Seafood Marketing Institute.